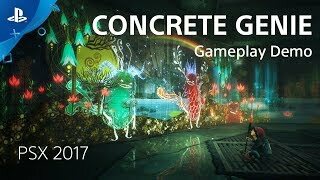 Concrete Genie is an upcoming action-adventure game from the Pixelopus team at Sony Interactive Entertainment. 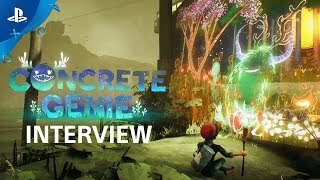 Concrete Genie follows the heartwarming journey of a bullied teenager named Ash, who escapes his troubles by painting spectacular living landscapes and whimsical Genies throughout his abandoned hometown of Denska – a once bustling seaside town now consumed by Darkness. As he masters his magical paint, he discovers it can purify Denska’s polluted walls. Can Ash overcome his personal struggles and paint his hometown back to life? 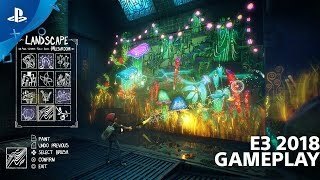 Players will embark on a heartwarming journey as Ash and learn how he is able to overcome his challenges through the power of self-expression and creativity. 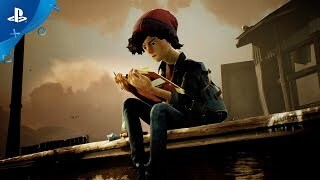 Ash is an adventurous young teen with an incredible imagination. An eager artist and a dreamer, his imagination bursts from him onto the pages of his sketchbook, and into the world around him. Exploring the dark corners and alleyways of Denska, his hometown, Ash breathes life into the world through the power of creativity. Once a thriving fishing community, the town of Denska has been left a gloomy shadow of its former self. After a massive oil spill poisoned its waters, the formerly vibrant and bustling town is now all-but abandoned, blanketed in oppressive Darkness and inky black waterways. Now, with a group of rowdy kids vandalizing its darkened streets, Ash may be the only person who can bring Denska back to life. Explore the streets of Denska and use magical ‘Living Paint’ to restore Ash’s hometown from Darkness. 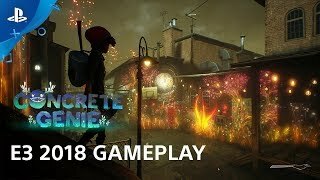 Players will create their own vibrant street art and find the scattered pages of Ash’s favorite sketchbook, in order to expand their design toolset. 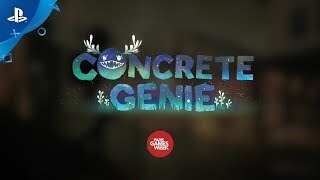 Concrete Genie includes two PlayStation®VR modes – PS VR Experience and PS VR Free Paint. In VR Experience, you’ll help a Genie discover a mysterious power through painting and see your art come to life from a new perspective. Completing VR Experience Mode unlocked VR Free Paint Mode. Practice your new skills after unlocking VR Free Paint Mode, where you’ll manipulate your paintbrush with PlayStation®Move Motion Controllers to create beautiful, living landscapes. *VR modes require PlayStation®VR and PlayStation®Move Motion Controllers. Please review and follow all safety guidelines for use of PlayStation®VR. PlayStation®VR is not for use by children under age 12. PlayStation®4 system, PlayStation®VR and PlayStation®Camera are required to experience VR functionality. Sold separately. © 2019 Sony Interactive Entertainment LLC. 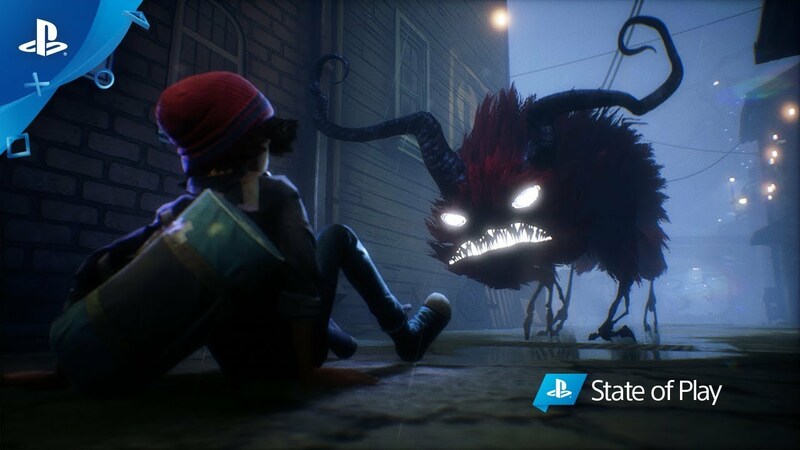 “Concrete Genie” and the “Concrete Genie” logo are trademarks of Sony Interactive Entertainment LLC.